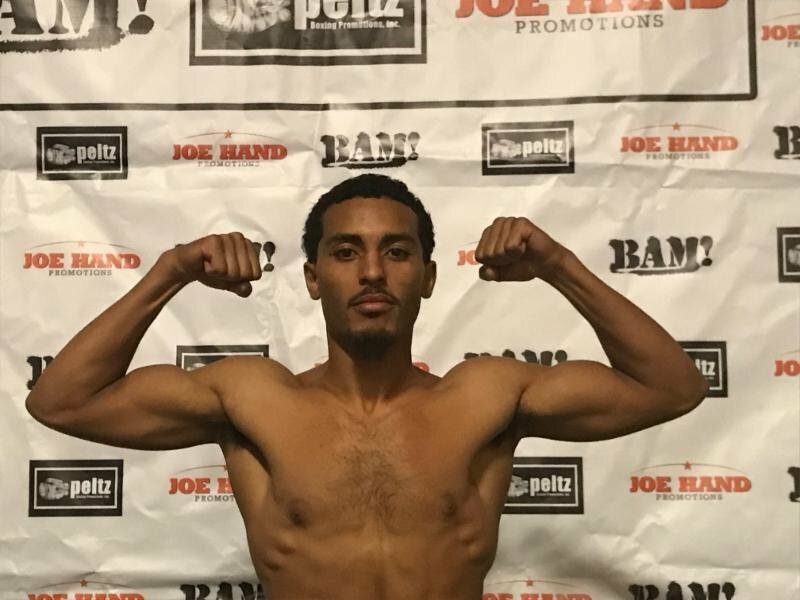 PHILADELPHIA – Philly fighters featured on the Xcite Fight Night card this Friday, March 9 at Parx Casino participated in an open to the public media workout Tuesday at Joe Hand Gym. Sparrow one of the fastest-rising prospects in the Philadelphia area, will take on seasoned veteran Jesus Serrano, of Nogales, Mexico in the main event. Nevin who won a silver medal for Ireland in the 2012 Olympics, returns to Philadelphia for the second time when he boxes four- time Canadian national amateur champion Alex Torres Rynn in the scheduled eight-round lightweight semifinal. Conquest of Philadelphia, a former Parx Casino® employee, will test himself against seasoned veteran Tyrone Luckey of Neptune, NJ. Albright of Sickerville, NJ faces off with Sidney Maccow of New York, who will be traveling to Pennsylvania for the first time since his pro debut in 2014. Wise of North Philadelphia, will be in a classic Philly vs. New Jersey match up when he goes toe-to-toe with Anthony Prescott of Cherry Hill. Rising Philadelphia boxing star, Avery Sparrow, really made a career breakthrough in 2017. The junior lightweight won four bouts during the year, including two main events, and two national TV appearances. He started 2017 as a promising young local, but by the end of the year, Sparrow had broken into the world rankings. On March 25, 2018, Sparrow will be honored with two Briscoe Awards for his accomplishments. First, he led the fan voting in the “Prospect of the Year” category, and also won the “Breakout Fighter of 2017” unopposed. Sparrow will receive his two awards at the 11th Annual Briscoe Awards ceremony, a party for the boxing community, at the VBA Clubhouse in Philadelphia. A number of other fighters like Jaron Ennis, Tyrone Brunson, Dylan Price, Marcel Rivers, Kermit Cintron, and Jerome Conquest, will also be honored in various categories for their 2017 accomplishments. Advance tickets for the March 25, 2018 Briscoe Awards cost $20 and are currently available for sale at BriscoeAwards.com, or by calling 609-377-6413. Tickets will not be sold at the door. The $20 admission includes food, draft beer, wine, soft drinks, and a souvenir program and ticket. The Briscoe Awards will be held at the VBA Clubhouse, 2733 Clearfield Street, Philadelphia, PA, 19134. The Briscoe Awards are presented by Philly Boxing History Inc., a 501c3 Non-Profit organization dedicated to preserving and honoring the great legacy of boxing in and around the city of Philadelphia. For more information, call John DiSanto at 609-377-6413.